Great enthusiasm for basic reformist demands, end zero hours contracts, living wage, end austerity, a modest renationalisation programme. But none of this will come to pass. Teamsters’ President Jimmy Hoffa Paul Kenny has his methods if not his friends! This years GMB congress convened less than one year before the general election. This was of crucial importance and was the abiding theme of the congress as each policy debate was seen in the context of the general election and what the GMB and it’s members should expect from a Miliband Labour government. This included debates on the ending of zero hours contracts, the introduction of a living wage, the renationalisation of key public utilities. All of these debates were met with great enthusiasm from what was a very well attended congress with a large number of committed activists from across a number of diverse campaigns present as delegates. On the motion against austerity there was a real desire of congress delegates to organise and fight back and put an end to austerity and ensure that the next labour government was committed to that agenda. The motion itself went as far as to call for a general strike thus demonstrating the mood of militancy present within the GMB after 4 years of coalition attacks. This mood was reflected in the manner by which Rachel Reeves MP was booed and heckled at congress during a question and answer session. She was asked a question, “would Labour abolish zero hours contracts?” Her answer was to state that Labour would introduce legislation whereby workers after one year in a job can ask for a permanent contract and went on to say that she couldn’t see the big fuss although zero hours contracts are wrong she stated to a bewildered and by now angry congress that she knew a lot of people who liked zero hours contracts. As was correctly pointed out by a delegate from Liverpool employers will simply terminate a workers employment before they can get to the one year point where Miliband’s legislation would allow workers to ask for a contract. This debate and Reeves’ approach clearly demonstrating the divide between the aspirations and current anger of union members and the pro capitalist labour leaders. Although Miliband when he addressed the conference later in the week gave a more progressive spin the damage had already been done. The mood of congress was echoed by the words of Paul Kenny, the general secretary, giving his congress address. Kenny stated that after all we had been through with the last four years of austerity and that following on from the way trade unionists had been let down by the Blair and Brown governments that as a trade union affiliated to Labour we needed Miliband to offer us something real and tangible. Paul Kenny cited a football analogy; Ed needs to speak to the badge, he needs to back GMB policies the key ones passed at congress. Paul Kenny address was greeted with great enthusiasm demonstrating the mood at congress. The reality is that to ensure the Labour government delivers for union members is a straightforward task. The GMB needs to ensure that it exerts pressure at every level of the Party. The General secretary Paul Kenny is the chair of TULO and can use the anger and determination shown by this congress to place these policy demands onto the Labour leadership in the run up to the general election and the setting of the manifesto. All the Labour affiliated unions conferences have passed and pledged to campaign on similar motions to that of the GMB congress. Each of these unions has sponsored Labour MPs; the GMB has around 80 presently. 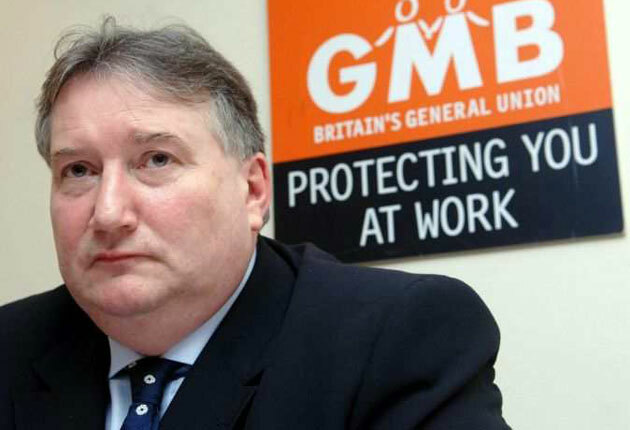 The GMB itself has actively sought to ensure that trade union members have been selected. Paul Kenny championed the working class credentials of these candidates at congress. Therefore a mandate can be placed on the these MP’s to deliver the key policies adopted by the trade unions. Which if we need reminding are hardly a revolutionary programme but basic reformist demands, end to zero hours contracts, a living wage, an end to austerity and a modest renationalisation programme. Unfortunately none of this will come to pass that is clear in advance and the mood of anger and militancy displayed by the delegates will be carefully controlled and managed by the bureaucracy. 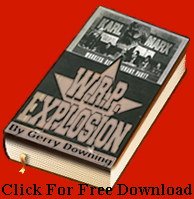 This is due to the historic role played by the trade union bureaucracies in managing the militancy and movement of the workers on behalf of capitalism against the threat of socialist revolution and indeed almost any meaningful resistance. Trotsky aptly explained this 80 years ago in a marvellous article “The Trade Unions In Britain – 1933”. In the GMB the bureaucracy for historic reasons is especially entrenched and capable of performing this task, indeed under its current general secretary very willing to play the role capitalism demands of it. This bureaucracy polices all aspects of its internal affairs and any form of opposition to it within its ranks and there is a well created cult of personality of the leader. There is at present no GMB Broad Left and due to the federal structure of the GMB and the power of the General Secretary and his willingness in fact one might say eagerness to act internally to ensure no dissent the establishment of a Broad Left seems a herculean task. The methods of control employed by the bureaucracy include expulsions, sacking of officers who question the authority of the bureaucracy, disciplining of branch office holders and any number of other tricks learnt and perfected over generations. But our class has proved time and again that it is able to break the stranglehold of the most entrenched and committed union bureaucracies. The shining example always remains that of Teamsters for Democratic Union who came together and worked in an underground manner in order to break the bureaucracy of no less than the Jimmy Hoffa acolytes ably supported by the Mafia in the good old USA. Therefore the task posed before the GMB members those very delegates at congress who expressed this mood of anger is one that has not changed over generations that of how to break the hold of the bureaucracy over the members. There is only one answer to this and that is for key activists to come together inside the GMB and begin the hard task of building a broad left that over time can begin to play the role of a genuine opposition to the bureaucracy. This is the only possible way that the bureaucracy can be broken and the socialist trade union cadres can reach this mood of the activists and members and harness it in pursuit of the genuine aims and aspirations of the class struggle and not just the limited agenda of the GMB congress but adopting a programme that faces up to the problems point blank posed by capitalism. This task is our task and one we can’t shirk or falter from if we are to turn the trade unions from organisations policed by the bureaucratic agents of capital into revolutionary organs of workers power.